Combining fantastic usability and the latest computing technology, a Microsoft laptop can be a great investment for any home or office. 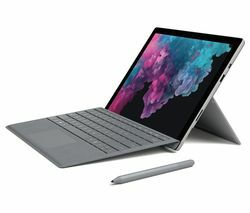 Microsoft laptops harnesses the power of Intel® processors to give you a computer with incredible processing speed and capabilities.You can download apps straight from the Microsoft store straight to your PC, giving you awesome software at the click of a button! If you’re swaying between a tablet and a PC, then the combination of both can be found in our Microsoft 2-in-1 laptops. 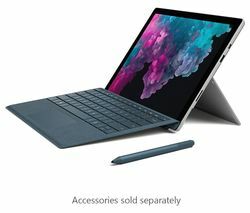 The Surface 4 Pro is a great buy, featuring a reduced size yet larger display area, the screen is crystal clear and perfect for both business and pleasure. You’ll also enjoy a magnetic Surface Pen, 3D camera and super sensitive touchscreen. For sticking to a traditional PC design, look no further than a Microsoft Surface Book. With Windows 10 Pro, a super powerful Intel® Core™ processor and 512GB of SSD storage you’ll have one of the most powerful Microsoft Windows Laptops at your fingertips. Lightning quick processors, beautiful screen quality and operating systems built with you in mind. Whether you’re presenting to the board or playing games and watching movies with the family, Microsoft laptops have it all covered.